Newsletter of the Florida Bicycle Association, Inc. Florida Bicycle Association, Inc. (FBA) is a statewide 501(c)(3) nonprofit organization uniting all types of bicyclists. Our mission for Florida bicycling is to network and share best practices, to educate and advocate and to build awareness as a unified voice. 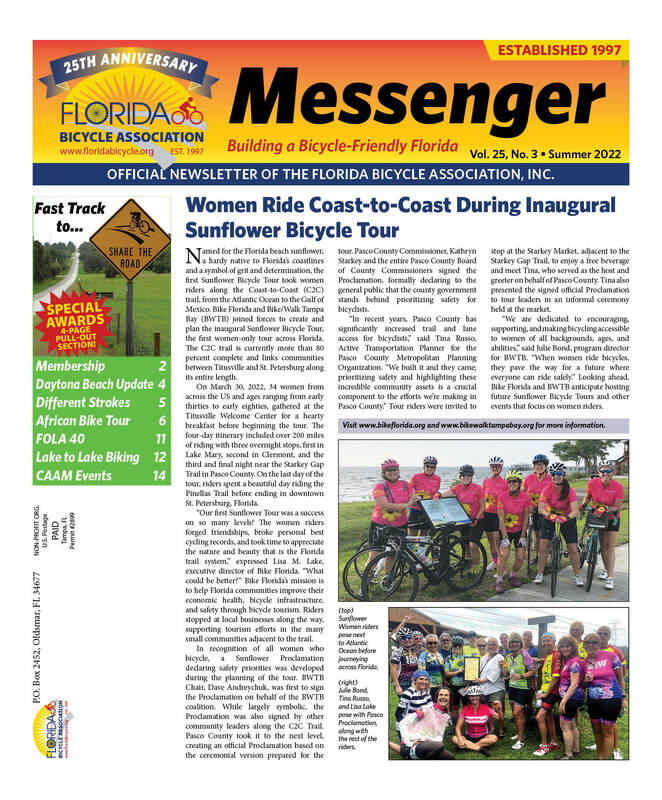 The Florida Bicycle Messenger is published quarterly. Publication dates are March 15, June 15, September 15 and December 15. Circulation is approximately 2500 including active members, bicycle/pedestrian coordinators and professionals, elected officials, corporations, bicycle clubs and stores, and other state and regional bicycle advocacy organizations. We currently expanded to 20 pages and print 3500 copies per issue which are further distributed at special events. Most popular digital media is acceptable, but give us clear instructions and contact information should we have questions. Ads requiring special design work, layout or scanning (halftones, screens, etc.) will be surcharged at our production costs + $85/hr. Order your copy by completing our Contact FBA online form. For bulk orders, please visit Florida’s Pedestrian & Bicycling Safety Resource Center for this and a wide variety of other items. 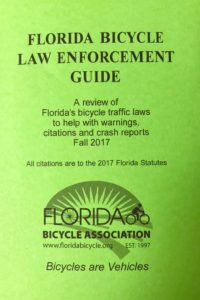 This booklet was created specifically to help familiarize law enforcement officers with portions of the Florida vehicle code that relate to two-wheeled human-powered vehicles. Included are motor vehicle responsibilities related to sharing the road with bicycles. 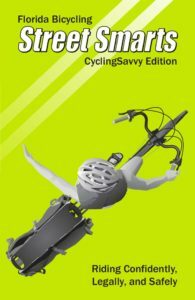 Download a PDF of the Complete Bicycle & Pedestrian Law Enforcement Guide Download a PDF of the Bicycle Only Law Enforcement Guide The 4×5 printed booklets contain both bicycle and pedestrian laws. Order your copy by completing our Contact FBA online form. Be sure to visit Florida’s Pedestrian & Bicycling Safety Resource Center for bulk orders of publications and a wide variety of other items.